On Friday, Jan 25, President Trump agreed to end the partial government shutdown by funding the government for three weeks. He plans to continue negotiations with Congress over a deal for a border wall. Airports fighting numerous delays rejoice but wonder what comes in three weeks. Trump’s capitulation came after various delays in airports across the country, including Newark airports, New York’s LaGuardia, and Philadelphia International. The reason of the delays is the shortage of air traffic controllers, who increasingly call in sick, or work 10 hours a day, 6 days a week, according to the Federal Aviation Administration. Some planes had to be temporarily grounded in a few airports. The Transportation Security Administration, in charge of airport security checks, reports that the absence rate has reached 10% of the national workforce, out of a total of 51,000 employees. “Many employees say they can’t get to work because of financial constraints,” says TSA. However, TSA employees are among the 420,000 qualified “essential” civil servants who will work despite the shutdown. In practice, sick leave is increasing. 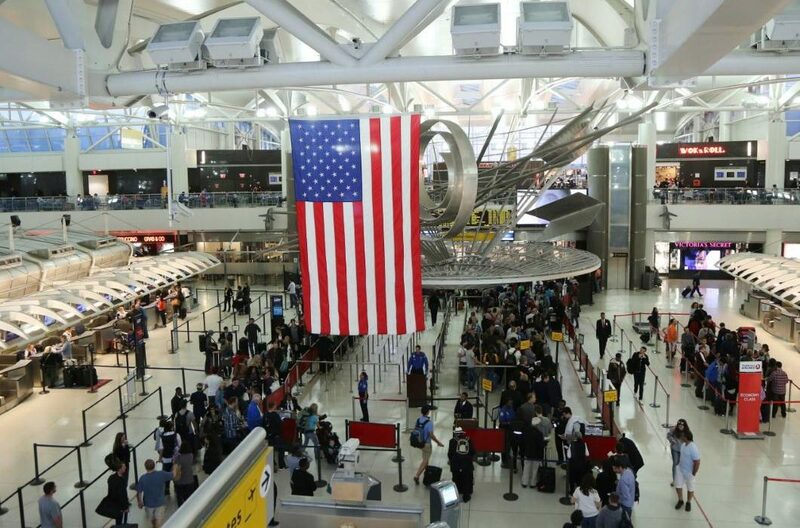 The administration points out that the waiting time for the passage of security gates remains less than 30 minutes for 99.9% of the approximately 1.8 million U.S. travelers checked last Sunday, a time described as “normal”. However, the TSA acknowledges that “some airports have experienced longer than usual waiting times”. New Orleans airport is the most affected with a maximum waiting time of 45 minutes on Sunday, followed by Minneapolis. However, the situation appears worse during the week: last Friday, four airports had waiting times of more than 30 minutes, while the absence rate of TSA employees was 7%. In Houston, Terminal B has been closed since January 13. After closing one of its terminals from January 12 to 14, Miami Airport now requires U.S. travelers to arrive 3 hours in advance for an international flight and 2 hours for a domestic flight. Same thing in Atlanta. San Francisco Airport is calling on shops and restaurants to grant a 50% discount to federal employees, with the airport assuming the difference. Similar idea in Pittsburgh where the airport provides meals for federal employees. A way to motivate them to come and do their job. The air traffic controllers’ union, for its part, is taking the U.S. government to court. The 16,000 air traffic controllers are also considered “essential”, yet the National Air Traffic Controllers Association states that having to work without being paid is a violation of constitutional rights. If the shutdown continues, air traffic controllers’ patience may well wane, leading to delays or even massive cancellations.